Investment in Russia and its neighboring countries requires proper controlling tools; an effective ERP system is therefore key to reducing risk in any business. 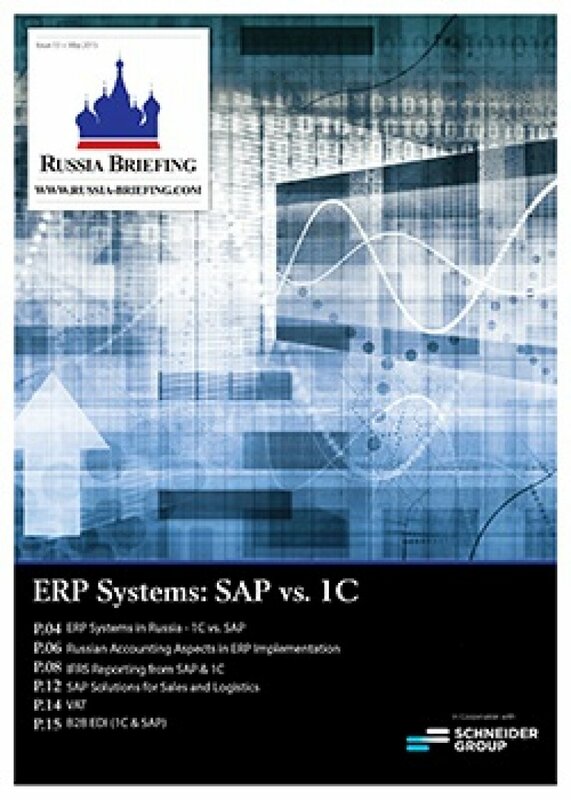 Those who implement a full ERP system usually use either SAP or the Russian accounting program 1C, the latter having the capability to go far beyond accounting and taxation. Very often you hear that prior experience in implementing an ERP system in one of the other BRICS countries does not necessarily convert to useful knowledge of ERP within the Russian market. If the stereotypical generalization that “Russia is different” is true at all, then it applies here for ERP systems. This issue of Russia Briefing describes some of the specific processing features in Russia, looking at accounting matters, tax compliance issues, special features in invoicing processes, etc. There is also something for those who see little hope of Russia’s bureaucracy shrinking – quite a few “popular” tax forms have already been seen, such as the Acceptance Protocol and VAT-invoices which do not need to be printed out and signed on paper any longer, instead, they are exchanged between business partners (B2B) in electronic form via the Internet. Implementation of SAP or 1C as your ERP system is also a question of implementing the compliance rules and conceptual matters of the accounting and reporting systems you believe in. Therefore, this issue also explains the different approaches of the various systems. Before you decide which is the best ERP system for you in Russia, and its neighboring countries, it is important to properly compare the advantages and disadvantages of the different systems. And finally: Get advice from someone who not only consults on and implements ERP systems, but who also actively uses ERP systems. SCHNEIDER GROUP staff in Russia compiled the content of this magazine.